Logistics Processes connects multi-modal transportation to the wider supply chain function and its many, interlocking components. This course sharpens learners’ ability to optimize the variables that create efficiencies within day-to-day operations while managing operational liabilities and obligations. Whether applied to simple modal choices or complex (multi-carrier/multi-modal) projects, learners will be able to maneuver materials, finished goods and information efficiently through all points and processes before, between and after transportation links. Building on the detailed study of each transportation mode in the Transportation Systems course, Logistics Processes continues the learning for any professional who wants or needs a more in-depth understanding of the industry. Graduates of both courses are ready for more advanced, management-oriented logistics courses like Logistics Decision Modelling and Integrated Logistics. 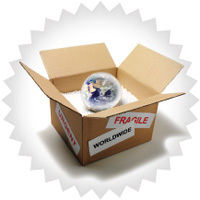 Logistics Processes helps professionals learn how to move products and related information through multi-faceted supply chain operations from source to destination—on a national and international scale—using single or multi-modal systems in a safe, time- and cost-efficient manner. Understand and select the best warehousing, materials handling, and unitization strategies to minimize the cost, time and space needed to handle and store goods between transportation links. Procure logistics suppliers using sound selection criteria and develop performance metrics for cost-effectiveness and service quality. Negotiate stronger contracts and prepare complete Bills of Lading that avoid common errors and omissions and formalize service expectations, legal responsibilities as well as rates. Minimize the company’s exposure to damage, loss or liability through the use of proactive risk management strategies, adequate insurance and more successful claims. Facilitate smoother international trade for their companies by having a good working knowledge of: documentation required for international transportation, Canada Customs import/export processes, current Incoterms and the role of customs brokers. Over 90% of Logistics Processes grads recommend the course to their colleagues. the entire supply chain process." 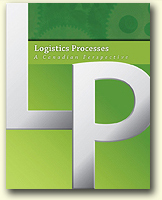 Your course textbook, Logistics Processes: A Canadian Perspective, is published by CITT. A printed copy of the textbook plus access to PDF chapters on your course website is included in the $800 course registration fee. There is a $50 discount available if you opt to use the PDF chapters only. On average, students tell us that Logistics Processes requires a commitment of 4-6 hours a week to complete the readings and assignments, participate in discussions, and prepare for the final examination. Students complete 10 short quizzes (one per week) throughout the course of the semester. There is one quiz for each chapter in the Logistics Processes textbook, and each quiz includes 10 multiple choice questions. Each weekly quiz is due at 11:59 pm EST each Sunday. Quizzes can be completed early for learners who need to plan ahead for business travel, vacations or other commitments, but must be completed before their individual deadlines. The major project for Logistics Processes is the preparation of a report based on a business case study scenario and questions. Learners are challenged to analyze the scenario provided, and apply the skills and knowledge gained throughout the course to prepare a detailed 10-12 page report including a high-level executive summary. Questions about Logistics Processes or the CCLP program of study and professional designation?